NEW YORK (AP) — Aretha Franklin, the undisputed “Queen of Soul” who sang with matchless style on such classics as “Think,” ″I Say a Little Prayer” and her signature song, “Respect,” and stood as a cultural icon around the globe, died Thursday at age 76 from pancreatic cancer. She died at her home in Detroit — “one of the darkest moments of our lives,” her family said, in a statement released to The Associated Press by publicist Gwendolyn Quinn. “We have been deeply touched by the incredible outpouring of love and support we have received from close friends, supporters and fans all around the world ,” the family said, adding that funeral arrangements would be announced in coming days. Franklin, who had battled undisclosed health issues in recent years, announced her retirement from touring last year. 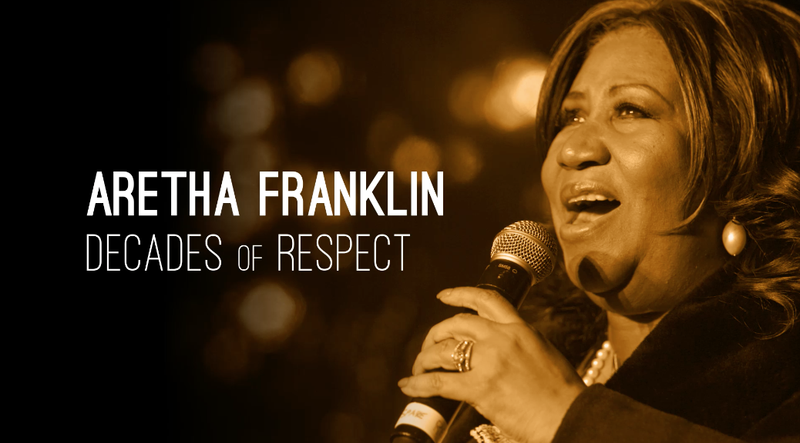 A professional singer and accomplished pianist by her late teens, a superstar by her mid-20s, Franklin had long ago settled any arguments over who was the greatest popular vocalist of her time . Her gifts, natural and acquired, were a multi-octave mezzo-soprano, gospel passion and training worthy of a preacher’s daughter, taste sophisticated and eccentric, and the courage to channel private pain into liberating song. Political and civic leaders treated her as a peer. Rev. Martin Luther King Jr. was a longtime friend, and she sang at the dedication of King’s memorial, in 2011. She performed at the inaugurations of Presidents Bill Clinton and Jimmy Carter, and at the funeral for civil rights pioneer Rosa Parks. Clinton gave Franklin the National Medal of Arts. President George W. Bush awarded her the Presidential Medal of Freedom, the nation’s highest civilian honor, in 2005. Franklin’s best-known appearance with a president was in January 2009, when she sang “My Country ’tis of Thee” at President Barack Obama’s inauguration. She wore a gray felt hat with a huge, Swarovski rhinestone-bordered bow that became an internet sensation and even had its own website. In 2015, she brought Obama and others to tears with a triumphant performance of “Natural Woman” at a Kennedy Center tribute to the song’s co-writer, Carole King. Her most acclaimed gospel recording came in 1972 with the Grammy-winning album “Amazing Grace,” which was recorded live at New Temple Missionary Baptist Church in South Central Los Angeles and featured gospel legend James Cleveland, along with her own father (Mick Jagger was one of the celebrities in the audience). It became one of the best-selling gospel albums ever. At Atlantic, Wexler teamed her with veteran R&B musicians from Fame Studios in Muscle Shoals, and the result was a tougher, soulful sound, with call-and-response vocals and Franklin’s gospel-style piano, which anchored “I Say a Little Prayer,” ″Natural Woman” and others.